Brian’s Devils face the Rangers Tuesday evening and we get a post All-Star Game report. While the Devs are 4-0 since the break, Brian isn’t so sure his boys are Cup contenders and he suggest cleaning house. Yes, even Zach. I’ve been a bit crankier than normal these first few weeks of 2012. I hit the holiday party scene pretty hard – too much food with the family, immediately followed by too much drink to get over spending so much time with the family. I’ve been doing the diet thing , check out the phen375 review here. Jennifer Hudson and me – we’re counting points, y’all! I Believe! A dieting Brian isn’t always a sane or kind Brian, so perhaps I was hasty when I wrote a really long post (still unpublished) saying the Devils were going nowhere this season and that Parise wasn’t going to re-sign so Lou should trade him now. Meanwhile, in Newark, something has been brewing since the All-Star Break. The Devils are 4-0 with all the wins coming against current playoff teams (and Montreal. Sorry, @mattsko, I don’t know how I could mistake the Habs for a playoff team). Leading the second-half charge has been Ilya Kovalchuk, which gives the PB boys a reason to run the odd Kovy pillow fetish pic (though I wish they’d show the one which flashes his hairy legs and a one helluva calf muscle). 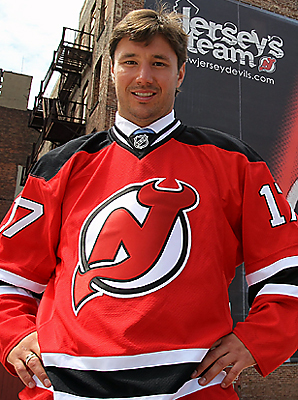 During the four-game winning streak, Kovalchuk has 10 points (3G, 7A) and the winning shootout goal in the Rangers game. 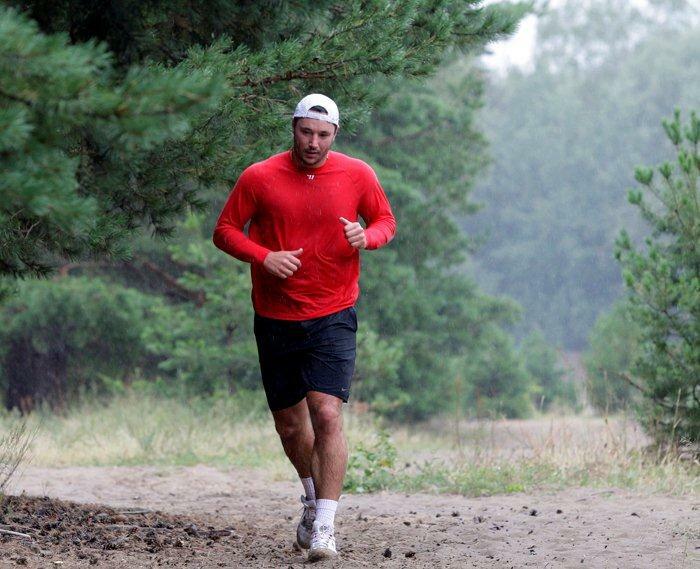 There have been times in his career when people (fans usually) have questioned Ilya’s passion for the game. I’ve heard Devil fans say that he’s only concerned about his own offense and that he’d never fit in with the Devils’ philosophy. I say those people aren’t paying attention to the games. Kovy’s game has changed this season; there have been fewer blind passes, fewer 1-on-5 plays, and it’s led to fewer bad turnovers and more goals. He’s worked so hard on his defense that he’s taking regular shifts on the PK; this weekend he notched his third shorthanded goal of the season (he only had three in his career before this season). He’s playing with incredible passion – check out this clip of him tying Tuesday’s Ranger game. Catch his post-goal reaction – Rich Chere tweeted that he was swearing in Russian. This is a guy who wants to win, especially against the Rangers. More proof? Check out Saturday’s game. Kovy puts up a Gordie Howe hat trick (a goal, an assist, and a fight). The fight came as a response to Zach Parise receiving a cheap slew-foot by the Flyers’ Zac Rinaldo (who was fined by the league for his treachery). Kovy went after Rinaldo, who refused to engage. Brayden Schenn stepped in for his gutless teammate to fight Kovy, and this is what happened. I could watch that all day. Here’s a longer cut of it, if you want to hear Chico Resch compare Kovy’s legs to a powerlifter’s. Lastly, I offer a moment from Sunday’s game. The Devils took a 2-0 lead on the Penguins when Kovy returned a pass to Anton Volchenkov, who slid the puck into an empty net for his first goal as a Devil (and first in a Gomez-ian 104 games). There’s no good video of it (I saw it during a between-period interview) but Kovy’s overjoyed for Volchenkov; he made sure he rescued the puck for his teammate and had a giant smile on his face. So, even though I don’t think these Devils are Cup contenders, and that I’d totally trade Parise and Bryce Salvador for Jonathan Bernier, Sasha Voinov and a #1 pick, I’m giving Kovy, Parise, Elias and the Devils a couple more weeks to win me all the way over. I’d like nothing more than to eat my words. After all, words are zero points. This entry was posted in NJ Devils and tagged Anton Volchenkov, Brayden Schenn, Ilya Kovalchuk, Slew foot, Zac Rinaldo. Bookmark the permalink.